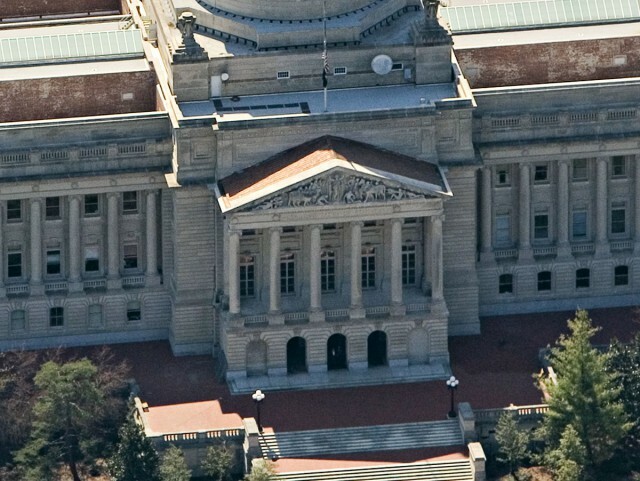 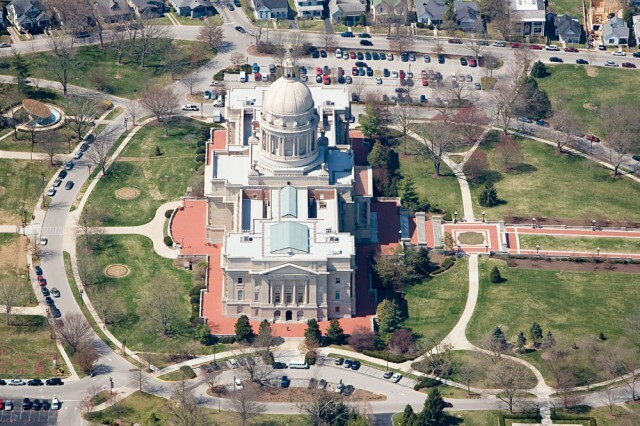 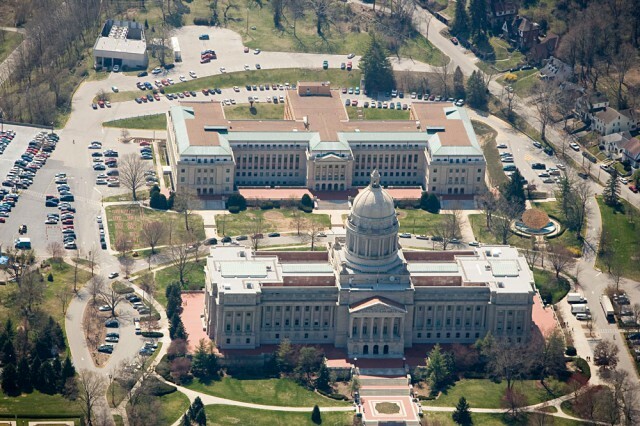 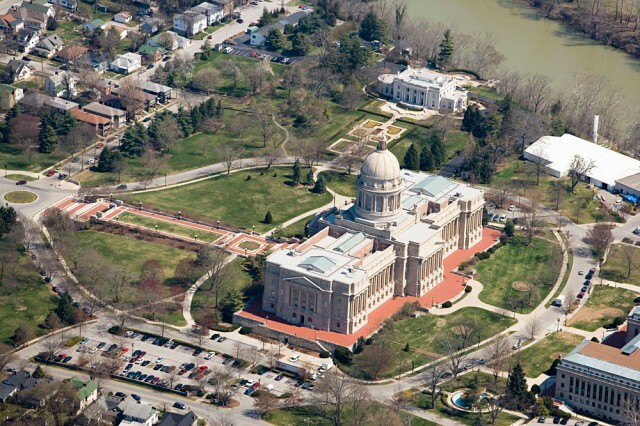 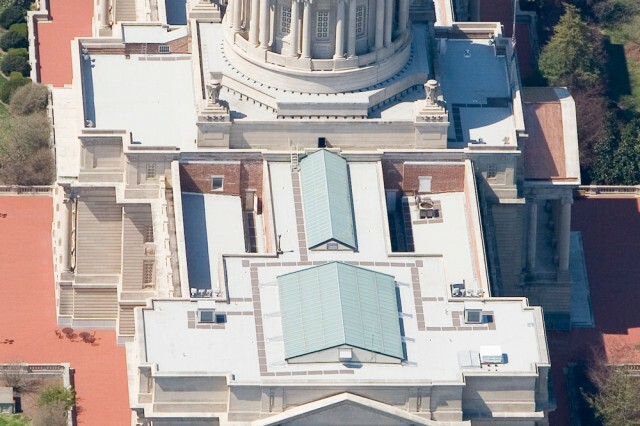 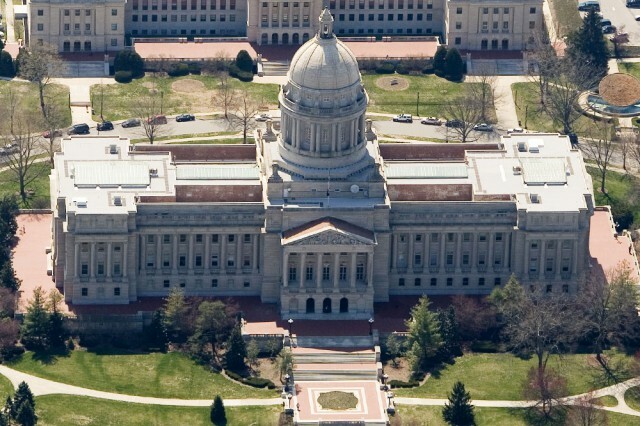 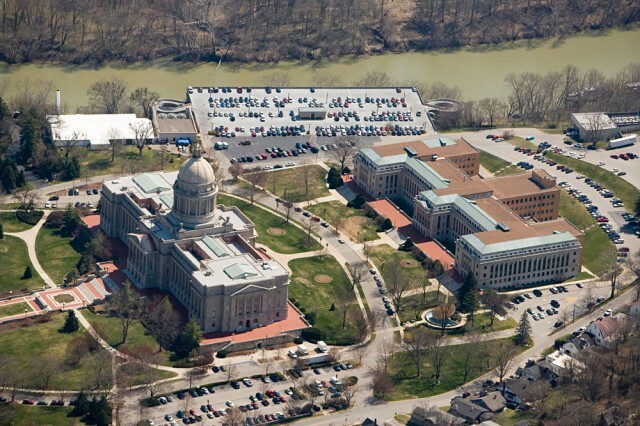 Located in Frankfort KY, The Kentucky State Capitol roof was replaced in 2005 with Siplast’s Paradiene 20/30 FR SBS modified membrane roof system, as designed and specified by Pat Murphy Architects. 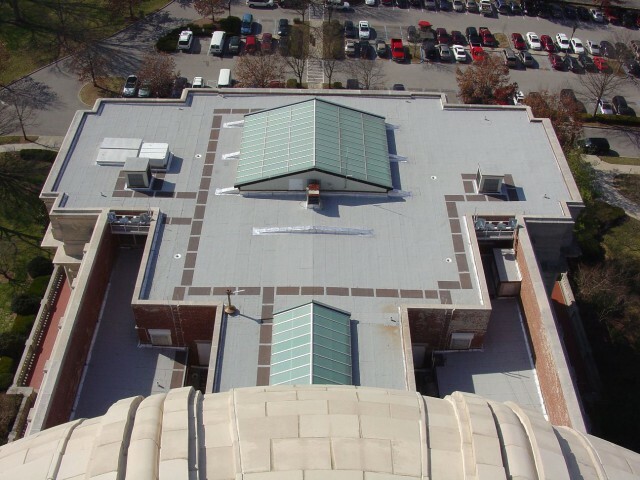 The specification called for a vented base sheet hot mopped over the existing concrete deck, followed by a base layer of Paradiene 20 HT, also hot mopped. 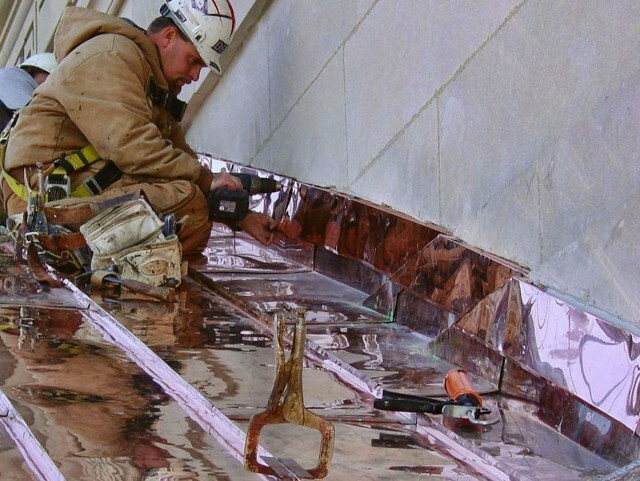 The cap sheet was Paradiene 30 FR in PA 311 adhesive with Stainless Steel Veral flashings in SFT adhesive. 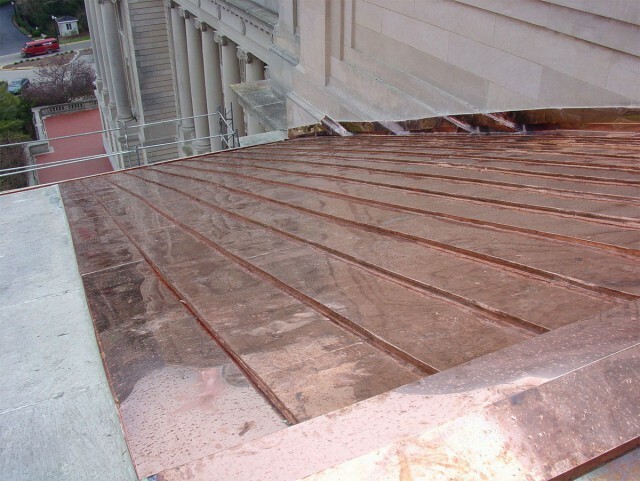 Some of the unusual structural designs from 1934 required using Siplast’s ParaPro PMMA resin liquid flashing. 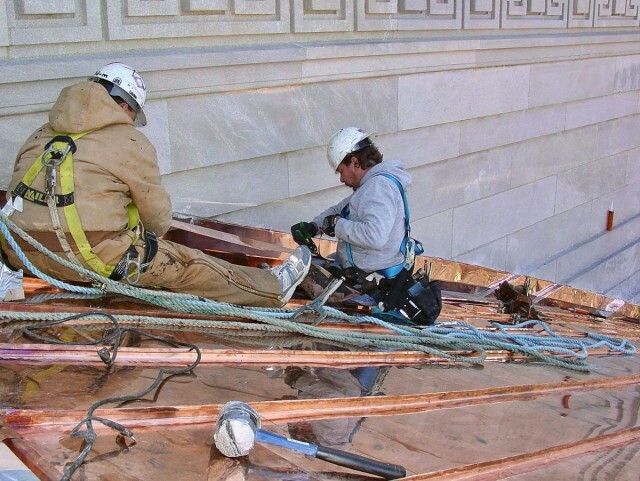 Swift Roofing also replaced the approximately 60-year old standing seam copper roof on the front Pediment at the same time we roofed the Capitol. 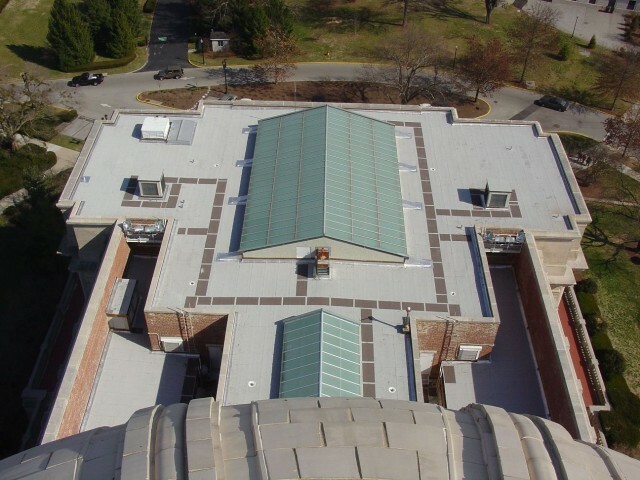 The new roof on it is 20 ounce copper standing seam roof, custom fabricated for the Pediment. 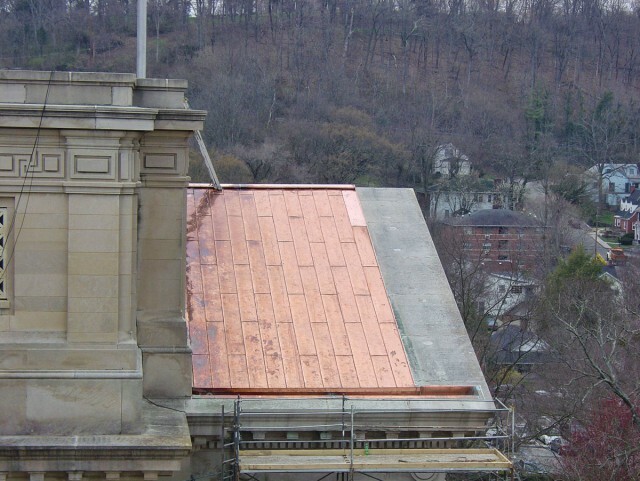 We fabricated and installed new copper gutters and wall flashings, embedded into the limestone structure.